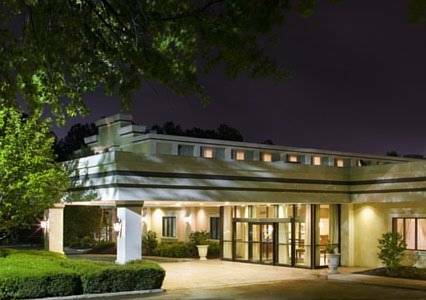 Get together at the pet-friendly Clarion Hotel and Conference Center in North Atlanta, GA near the Doraville MARTA Station. Nearby destinations include Georgia Dome, World of Coca-Cola, Atlanta Silverbacks Park, Georgia Aquarium and Martin Luther King Jr. National Historic Site Visitors Center. Enjoy amenities like free WiFi, free weekday newspaper, a business center and our 125-guest Grand Ballroom. Rooms come equipped with a flat-screen TV, hair dryer, coffee maker, iron and ironing board. Also, earn rewards including free nights and gift cards with our Choice Privileges Rewards program.